Hi, we’re Dr. Kevin Bass and Lawrence Black of Black & Bass Cosmetic and Family Dentistry. Today’s post focuses on an interesting article that appeared recently on ScienceDaily.com. The article describes a study of Brazilian ICU patients that compared infection rates of those who received enhanced oral care instead of routine oral care. The patients who received the more intense dental care were 56 percent less likely to develop a respiratory infection during their stay. If a member of your family has serious health problems, you may want to talk to their doctor about the oral health implications of their condition. In unfortunate cases where one of our patients experiences severe health issues, we are happy to work with their medical team to ensure that their dental health is not compromised. Even some managable chronic conditions can require more frequent exams and cleanings. Though this study pertains to ICU patients, it is also a reminder to all of us. 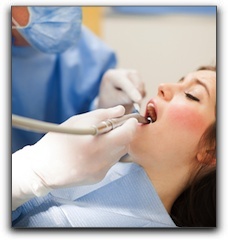 Receiving consistent quality dental care and practicing proper daily oral hygiene is critical for everyone. Some patients have an inaccurate view of oral health – they seem to have the notion that it exists autonomously. It is actually interdependent with general physical health. At Black & Bass Cosmetic and Family Dentistry, we see ourselves as key members of your healthcare team and are dedicated to your physical, mental, and emotional health. If you are looking for a calm and comfortable dental practice in Lansdale, we invite you to schedule a consultation by calling 215-368-1424. You can meet us, Dr. Lawrence Black and Dr. Kevin Bass, and our team of dental professionals. Thanks for visiting our dental blog.